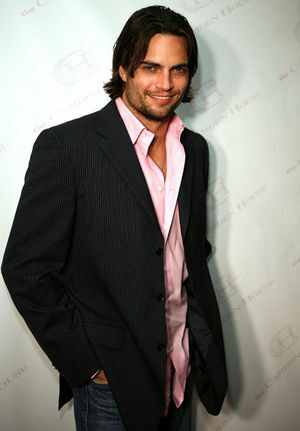 It's Cash's, errrr Scott Elrod's birthday February 10 (1975) -- so send him a card!!!! And don't forget to send him a Valentine's Day card, too!! Here is your CASH only photo page! 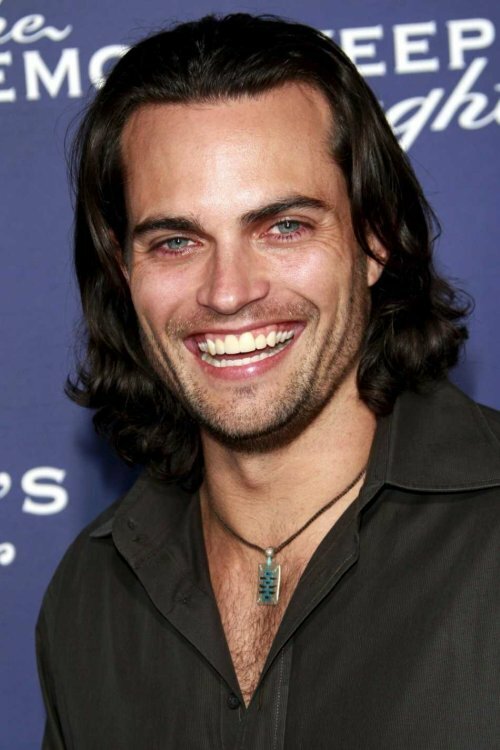 As his character Cash, he is shirtless a lot of the time, and we don't mind in the least, but I'm also showing him fully-clothed on this site, as he's also seen in his real-life persona Scott Elrod, too. His bio is at the bottom of the page, so hope you enjoy learning more about him. This is from the episode where Terry is donating a kidney to Cash. Yay to Terry!!!! Yes, this is a pic of Cash & Marin kissing - Yes, it's on a page that's just supposed to have pics of Cash, but I couldn't resist putting it up here as well as on the Cash & Marin page.... so just deal w/it and enjoy it!!!! I know I will!!! 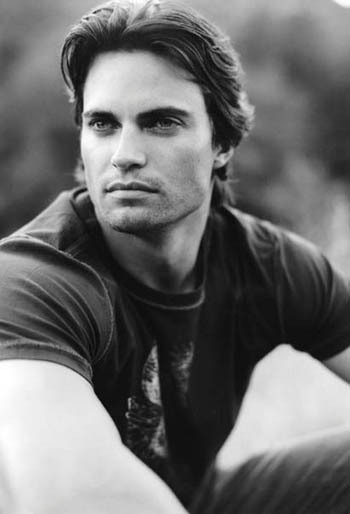 Here's a profile of Scott Elrod, aka Cash, on the ABC Television Network's "MEN IN TREES"
Elrod, who has guest-starred on “Days of Our Lives” and “CSI: NY,” also appeared on “Desire” for Fox’s My Network TV, which he described as a great learning experience. While attending high school in Parker, Elrod played baseball, ran track and excelled in math and science, but was generally a bored student. He always had an entrepreneurial spirit and held several jobs, from delivering pizzas to laying the runways at Denver International Airport and modeling for local fashion retailers and print campaigns. When not working, he could be found on the track racing motorcycles. As expected by friends and family, he joined the Air Force after graduation, trained for his pilot’s license and became an air traffic controller. He had hopes of going on to fly F-16s, but realized he wanted more than what the military had to offer. Turning to his entrepreneurial skills and modeling experience, Elrod and his best friend started a marketing company that became quite successful. During the same period he also tested his sales abilities, eventually landing the responsibility of vice president of Sales for a technology company. But Elrod says, “Sales just wasn’t cutting it.” It was at that point the “Top Gun” acting “thing” resurfaced and he knew he owed it to himself to give it a try. Elrod relocated to Los Angeles three years ago and enrolled in every acting class that would accept him, studying six days a week. It obviously paid off. His recreational interests include flying, snowboarding, racing cars and motorcycles. He keeps in shape by kickboxing and lifting weights five to six days a week. 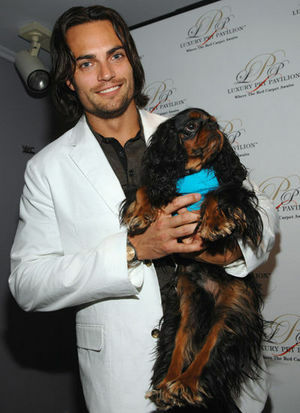 In his spare time, Elrod hangs out with his yellow lab, named Harley Davidson. a dog, but it's a lab named Harley Davidson. Don't you wish you were this lucky pup? Above picture: Need help finding the soap, Cash? Another excerpt from the Men of Men in Trees (April 2007) article is about Cash. He is a relaxed nature loving boy who is comfortable making do with what life throws his way. While he could be easily dismissed at face value as being a lazy drifter, aside from being handy with a tool belt he also has a grounded honest opinion which he is often willing to share. Cash brings the perfect chilled-out balance to weigh against Marin’s overly analytical and sometimes uptight nature.